What are the most important inventions the world has ever known? More importantly which ones have changed our world? And, are all inventions good? These are the questions Charlotte’s Discovery Place Science Museum is asking with their newest Science interactive exhibit: 101 Inventions That Changed The World. My 9-year-old (and self-described ‘nerd’) and I were invited to preview the newest exhibit at Discovery Place Museum in uptown Charlotte. Before attending the preview we sat down and guessed what we thought the top 10 inventions of all time might be? We were treated to a calm and quiet yet eye-appealing exhibit. Which starts out in a hall of giant posters sharing impressive inventions and discoveries alike. And then Galileo (or an actor playing him) greeted us and shared a life model of ‘his’ telescope. Next we walked through a small area where all 101 Inventions are listed by order of the year they were created – not yet in order of most important. I was happy to watch my son read through the list and see his face light up as he recognized almost all of them. From simple stone tools to much more sophisticated things like the light bulb and A/C current. And just then Thomas Edison walked up to us! This is easily one of my son’s most favorite inventors and scientists. We’ve visited the Edison Museum in West Orange, NJ and listening to the actor bring Edison to life was pure happiness for my kiddo! 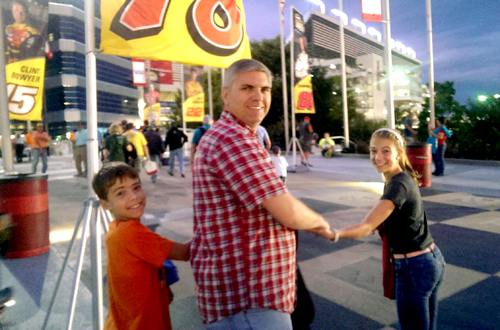 He shared with us the big feud Edison and Nicola Tesla battled over A/C VS D/C for many years. Effectively bringing useful electricity many years ahead due to their fierce competition. We agreed to go home and look up the Tesla-Edison dispute. It’s worth noting that Nicola Tesla will also be brought to life in the exhibit as well, but sadly he wasn’t there the day we saw it all! Then we made it into the REAL exhibit! 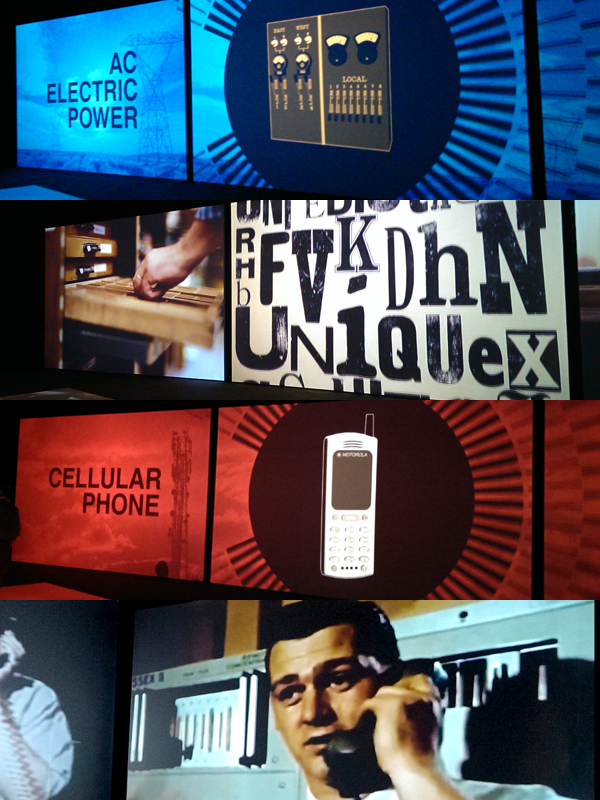 A giant room lit up with huge screens of moving images, graphics and short videos. Explaining and revealing each of the 101 Inventions counting down from 101 then listing the top 10. What are the top 10 inventions of all time? I’ll give you a hint: more than half of them have something to do with communication! At the end of the exhibit there are 6 or 7 tables set up with interactive invention stations -kids are encouraged to innovate, experiment and see if they can improvise and improve on the ideas set up. A 3-D printer is spitting out small robot parts, and kids can experiment to see how best to put the parts together. Several GIANT tables of LEGO (one of the 101 inventions, by the way) is waiting to entertain. An electric guitar, remote control building kit and other brain stimulating items await! I would suggest seeing this exhibit with older children, ages 8-12. They should be able to read at least a little bit; there are a lot of reading-intensive exhibits. However, the interactive fun stuff at the end is geared to a wider age range. My son is nine and in 4th grade. 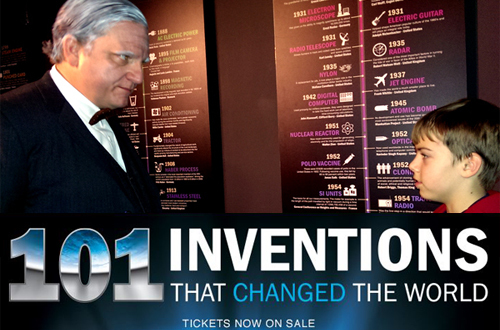 The 101 Inventions exhibit runs until April in Charlotte, and then moves on to The Franklin Institute in Philadelphia. Cost to enter Discovery Place Exhibit is $18-20, but includes admission to the whole museum as well. There is an IMAX theater, small aquarium, rainforest room and too many amazing hands on science displays to list! One of our favorite parts of the museum are the demonstrations that run throughout the day. Disclaimer: My family are members of the museum and we love all things science! 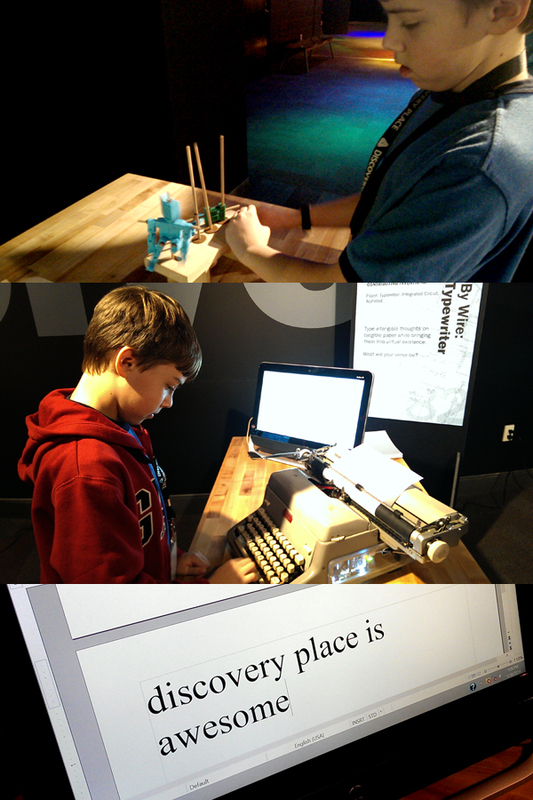 My son and I were invited on a special media preview day to explore the new exhibit at no additional cost to us. Our thoughts and opinions are our own.